Days to maturity has many different meanings depending on where you look or who you ask. 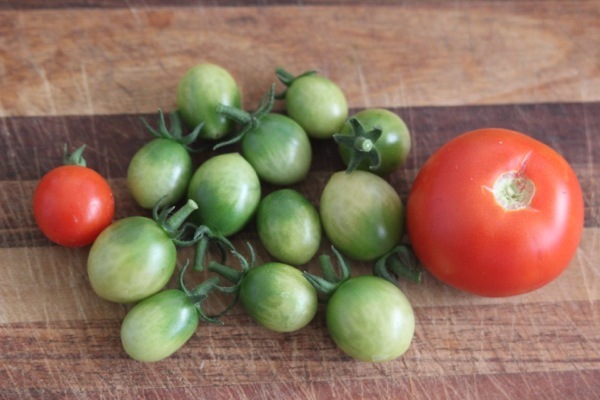 For tomatoes it is usually the number of days from an 8 week old transplant until breaker stage where it is picked mostly still green. This is not useful to me and it makes commercial seed companies look as if they carry wonderfully early plants, when in fact they often take a dreadfully long time to ripen. I have counted days to maturity from the day I plant the seed until the first fruit was perfectly ripe and ready to be picked and eaten. I decided to list the days to maturity of some fruits and vegetables etc in one post here to make it easier for me to find them in the future to enable me to plan better. I am adding to this guide each year. Try to keep in mind that these are not theoretical numbers, they are the actual number of days that they took to mature in my garden. If the weather was warmer or cooler, if it rained more or less, or any number of things the days to harvest would change slightly. Flowered ??/? ?/2016 Day?? I didn't notice them until I already had some beans! Planted 20/08/2016 Day 0 No germination, seeds rotted so I needed to re-plant. Days to Maturity 'Billeberga' melons (Cucumis melo). Germinated ??/? ?/2016 Day ? Oh why didn't I record this! I grow many different varieties of tomatoes so instead of writing one massively long post I broke it up a bit. Previous year pages can be found here and here while the 2016/2017 season can be found here. I sell seeds of some of these fruits and vegetables through my for sale page. Ecclesiastes 11:6 "Sow your seed in the morning and at evening let your hands not be idle, for you do not know which will succeed, whether this or that, or whether both will do equally well."